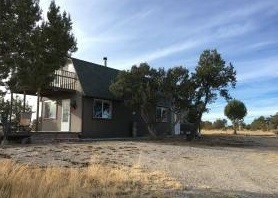 SITE BUILT HOME 40 ACRES GOOD ACCESS SELIGMAN AZ! 63790 N Peaceful Hill Rd. Rustic two story two bedroom one bath home on 40 acres. This little get-a-way is only a few miles of gravel off of Historic RT 66, situated on a high vista overlooking thousands of acres of undisturbed trees, valleys and grasslands. The kitchen is very large with two stoves with both a casual Dining table and a little coffee nook this room has all kinds of possibilities. The living room is large with a bay window, a large wood fireplace and the huge utility room. 2007 construction of more than 1600 sq feet of livable space. Outside are a Conex Box, chicken house and Shop Building. Excellent cell and internet services. Site Built Home 40 Acres Good Access Seligman AZ! Seligman, this eclectic town is the "Birthplace of Route 66", the mother road. The town retains all the flavor and flavors of the old road. It is as if you are back when Route 66 was America's Main Street. Founded in 1895 this railroad camp (Prescott Junction) became Seligman and the tourist traffic from travelers became the town's main source of income. In the late 1970's, I-40 bypassed the town. Site Built Home 40 Acres Good Access Seligman AZ! Now Seligman captures the modern tourist trade with quirky restaurants, the Snow-Cap drive in, a gift shop with Route 66 Memorabilia, and Lilo's with great pies!